Restore Your Bioterrain and Build a New Foundation for Optimal Health! With the onslaught of new nutrient supplements, herbs, and specially crafted and laboratory produced health aids, how can we make a meaningful decision regarding what we need to improve the quality of our health and vitality? Are you overwhelmed with all the choices? Wouldn't it be great if you could make just a few fundamental changes to your regimen and powerfully alter your entire physiological functioning? Well you can! The program is really that simple: detoxify, nutrify, restore, and rebalance. With the broadest fundamental regime of these simple products that give all the essential minerals, the flora needed to process, and the humic substances to complex all nutrients, it's all there. Just try a program on for yourself, and in just a few months you will find you are rebuilding your biological milieu, your bioterrain will be renewed and your physiology will leap into hyperdrive. Let's look at each step briefly. The First Step - Doctors widely agree that good health begins in the gut. Let's begin there. Saccharomyces Boulardii - One of the principal organisms in our Myces SB5000 is a powerful yeast that helps avoid gut permeability, to maintain the tight junction. It also protects the microbiome from damage due to antibiotic regimes. This means that leaky gut, which is implicated in everything from fibromyalgia, to low energy, to the full spectrum of autoimmune diseases, can be addressed from a foundational level. Learn more about the tight junction and intestinal function in foundations of health. Not only do probiotics support improved digestion, but the immune function begins in the colon and brain function is supported there, since 80% of Serotonin is produced there. The brain-gut connection is so critical and good health can only be established by restoring this area first. 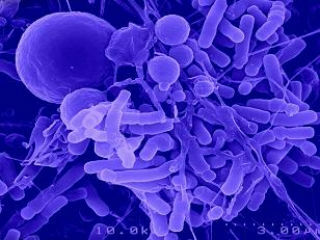 Another result of imbalance in the intestinal region is Candida overgrowth which can also lead to a number of diseases. The ideal form of probiotic therapy is a naturally fermented culture that has produced a consortium of species that work together symbiotically, like the Lactobacillus plantarum and Saccharomyces boulardii which were found together in the kefir that makes up the Myces probiotic. Both of these organisms are very antagonistic to Candida, and this is good news for the possibly 100 million Americans who suffer from Candida overgrowth. Read the story here. Supporting the restoration of the flora in our digestive system needs support itself, largely due to destructive elements in the environment. Hydrogen is the most powerful "prebiotic" and was found by the Japanese Ministry of Health in 1968 to be necessary for probiotic health. You can support your probiotic regimen by looking at options for molecular hydrogen support in various forms. Take Humic and Fulvic acid which are very supportive of the growth of friendly bacteria, our good flora. Zeoheal is perfect for this. Steps 2-4 - Detoxify, Nutrify, Rebalance. Toxins disturb biological function and disrupt our health. The last 100 years of chemical farming has produced a soil that is depleted of much of its original richness, the milieu of a symbiotic world of organic nutrients and microorganisms all functioning in harmonious balance. Taking more supplements cannot undo the daily onslaught of toxins, which interfere with proper nutrient absorption. The river has to be cleaned upstream first to address the underlying problems. With Zeoheal you can actually accomplish four steps in one. 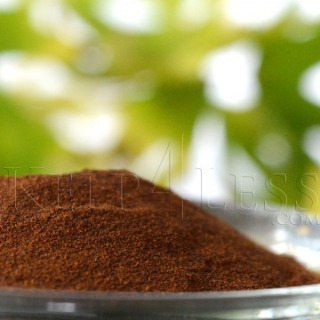 Humic and Fulvic are the finest organic detoxifying substances known. And their mineral and amino acid content together with their ability to make the cell more permeable and to transport the nutrients into the cell makes them the finest remineralizers available. The Zeolite will remove the toxic metals, chemicals, plastics and viral waste, and like the Humic acid, will remove radioactive particles too! Because it is both an electron donor and receptor Fulvic acid will electrically balance the body, and along with Humic acid it restores body's terrain, renewing cell function. They are a true anti-aging miracle, and the missing link in human nutrition. Once the signal and biochemical disruptors are removed, how easily your body can return to its natural functioning. Wouldn't you love to be able to accomplish all these things at one time? Increasing nutrient uptake, eliminating toxins, remineralizing your body, sharpening your mind, renewing energy by restoring the electrical balance in the body? In his testimony before Congress in 1936 two time Nobel Prize winning scientist Linus Pauling said: "Every ailment, every sickness, and every disease can be traced back to an organic mineral deficiency." With soil depletion at extraordinary levels according to the UN Rio Earth Summit in 1992, the reality of mineral deficiency and its consequences became inescapable. Humanity would need nutritional help, and help at a fundamental and bioavailable level. That help is here! These conditions in our environment require that we address the underlying problems or suffer the consequences. We need a simple 1,2,3 approach that helps us to rebuild and restore the robust organism the Creator gave us. That means we need detoxification and nutrification along with anti-oxidant power, and cellular function repair, and even DNA repair, if we are to THRIVE in this threatening environment. It is time to begin thinking and operating on the foundational level. And just as every good house needs a strong foundation, your body is your house and it needs its foundation strengthened. It is late in the game if you have to move from food to pharmaceuticals to bring about restoration. There is another way! Less is more! So: what is the bottom line for You and your health needs? Detoxify gently to remove the material obstacles to proper physiological functioning, using Zeoheal, molecular hydrogen, and good probiotics, all of which help removed unwanted toxins. And more: the FIR sauna is an unparalleled tool which Dr. Sherry Rogers wrote about in her famous book Detoxify or Die. Use hydrogen to scavenge free radicals which are the toxic by-products of human metabolism. Nutrify by making all your nutrient intake more bioavailable, and energetically transported into cell where it is needed. Also make sure you add pure mineral nutrients to supplement, preferably liquid ionic, like those in Bion Plus and Zeoheal, which can easily enter your celI.repairing damage which only fundamental elements can do. Restore your gut flora using our top naturally fermented whole probiotic Myces; restore your bioterrain and cellular functioning, including renewed thyroid function with Humic/Fulvic acid and minerals which are found in Zeoheal; and restore your immune system by supporting it with these natural aids. Hydrogen can even help your body repair the DNA damage according to studies by the U.S. Navy. Rebalance your blood pH, and electrical potential on all cells using Zeoheal so they can resume their natural function; use hydrogen to help scavenge free radicals just as this study done in 2007 proved. Again, rebalance your gut with hydrogen, Myces, and Zeoheal. Finally: boost your energy and immune system using four products from Nature's storehouse, four products of nature's storehouse accomplish this: silver and humic/fulvic acid, and cultured kefir probiotics. And what about lack of energy? One of the biggest complaints for many people, the last decade has revealed a great energy solution in the original energy molecule: Hydrogen! And hydrogen along with Fulvic acid will truly demonstrate the miracles of anti-aging elements the Creator supplied in nature already! The program is truly that simple: detoxify, nutrify, restore, and rebalance. Experience the synergistic effect of this fundamental regime with these simple, natural products that give all the essential minerals, the flora needed to process, and the humic substances to complex all nutrients, it's all there. Just try a program on for yourself, and in just a few months you will find you are rebuilding your biological milieu, your bioterrain will be renewed and your physiology will leap into hyperdrive! Hippocrates said: "Let food be your medicine and medicine your food." This timeless principle underlies our approach to health and wellness, and has been explored in exciting new ways such as Georgetown University's Food as Medicine program. Our journey has led to the application of new technological advances to ancient natural health regimes. In this understanding we have found that in addition to solid food, water is food as the great Iranian researcher Dr. Batmanghelidh discovered, advancing the knowledge that the quality of intra-cellular water governs cellular metabolism. 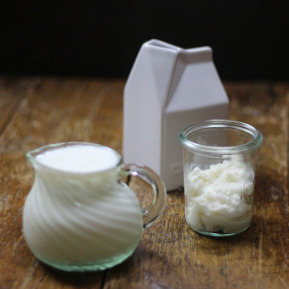 Fermented foods, such as goat's milk kefir, have long been a staple of ancient cultures like the people of the Caucasus region. They lived on hydrogen-rich, pure water, foods grown in soil that was rich in humates, and naturally fermented kefirs that contributed to remarkably great longevity. With this ancient goat-milk kefir we have found that the freeze-drying process adds shelf life while preserving the vitality of the life-giving and nourishing microorganisms. With water we have found that application of laser technology and the use of ancient mineral deposits, along with hydrogen can combine to produce "living waters." With regard to molecular hydrogen, our experience began in 2008, working with Dr. HIdemitsu Hayashi in pioneering the use of hydrogen in drinking water with passive mineral products in the US via our HydrogenRich Water Group. Since that time there has been a growth in the study of the use of hydrogen as molecular antioxidant from 5 published papers in those days to some 500 peer-reviewed studies today on therapeutic applications of hydrogen. Finally, we have worked with the finest soluble liquid humates, in the form of humic/fulvic acid to remedy the mineral deficiency we all experience as a result of the massive depletion of our soils. 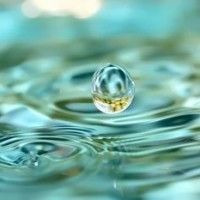 Together, living waters and living foods promise to be a primary key to our health in the future. It has become an axiom of holistic medicine that good health begins in the gut. Not only do beneficial bacteria produce enzymes, amino acids, and vitamins, but over 80% of our serotonin, a key neurotransmitter, is produced in our colon so that our mood and emotional well-being is also dependent upon a balanced gut. Day to day well-being requires that our natural immune system function at an optimal capacity to fight off pathogens which compromise our normal biological functions. Immune cells produce various molecules to fight off disease, including ozone. Our unique NASA technology based silver oxide formula supports human immune response in dramatic ways. Foundational steps in improving health must include removal of harmful toxins and the addition of all the minerals we need. Linus Pauling traced all disease at root to mineral deficiencies. Zeoheal supports a thorough cellular re-mineralization while removing toxins. 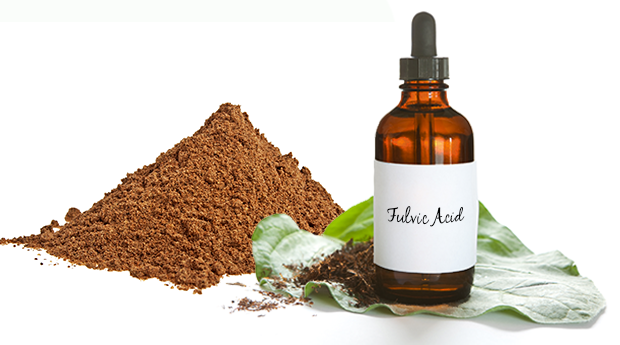 Humic/Fulvic acid is that missing link in nutrition to boost nutrient absorption.